Researching the Joyner Cemetery located between Owassa and Wilcox communities recently made me aware once again how cemeteries are known as other names by different generations. In rural settlements, a cemetery is so named usually by the number of surnames common to it. 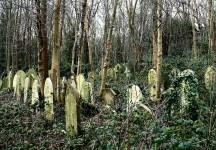 For instance, if the majority of names found are Smith, then it’s “Smith Cemetery” if Brown, “Brown Cemetery” and so on. It can be named after the one who established it, gave or owned the land for it, and not have anyone by that name buried in it. If it’s a church affiliated cemetery, then it’s usually known as the name of the church, even if the church is long gone or renamed. Many of our ancestors get ‘lost’ simply because two or three generations down the road, a name changes for a cemetery, church or town, or those places disappear from view because of economic growth, agricultural practices through the years or timber development. Yet another Joyner Burial Ground was located in the Flat Rock community, according to Conecuh Headstones Book, Vol. II. 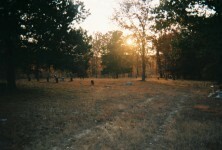 In Township 6 North, Range 12 East, and Section 14 there were 4 graves known to be buried in the woods between two dirt roads in Flat Rock. In 1981 when the area was surveyed, it was noted that there were no markers visible; though citizens in that area knew of four graves. 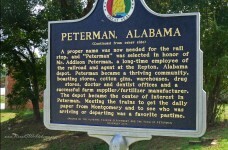 Known to be buried there were Zade Joyner, Nancy Joyner, Mrs. Savannah Windham and a Shaver Infant. In the 1870 Conecuh Census, there was a Zed K. and Nancy Joyner, ages 22 & 18, living next door to Elisha E. & Elizabeth Joyner, same names found in the previously mentioned Joyner Cemetery further up towards Owassa. According to Confederate Pension Records for Conecuh County in 1915, a Mrs. Savannah Windham received pension that year, so we know it’s after 1915 that she died. If you can shed light on this cemetery location or those buried there, please call me at 251.578.2670 or email at [email protected] if possible. 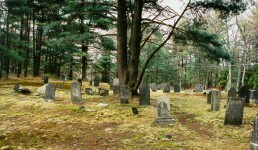 This cemetery is known in the headstone book as “Pilgrim’s Rest Cemetery”. How can this be explained? Personal GPS? Claim on land brought a serendipitous balance against losses for Baker family. 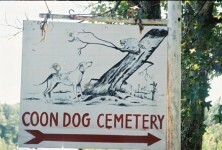 I’m sorry I don’t know anything about the Joyner Cemetery in Conecuh Co., but there is a Joyner Cemetery in Mobile Co. also. 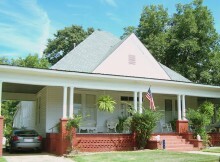 it is located on Tanner-Williams Road about 2 miles past Tanner-Williams School going west. 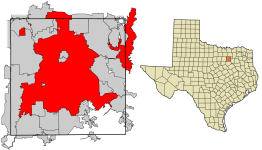 I know this doesn’t help you at all and I do realize that there are some cemeteries with the same name all over the U. S.
My father Vester Monroe Joyner was born near here in 1911. 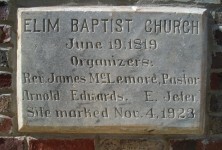 His father James Monroe Joyner ( the first) died in Andelusia in about 1921. 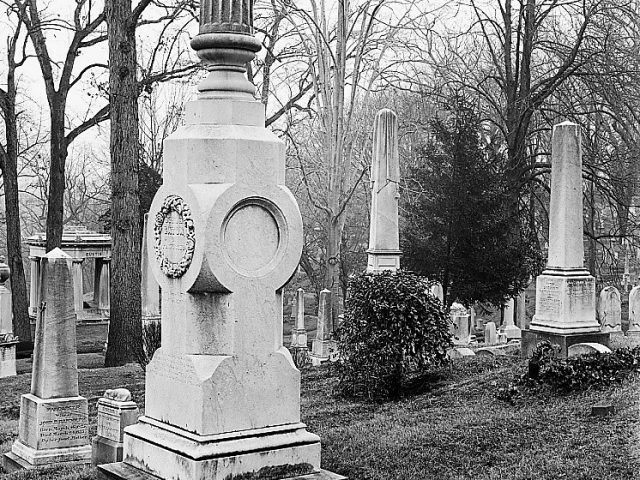 There is a woman in Greenville named DB Leslie, daughter of George Joyner who knows more about the cemeteries than I do. There is some confusion because the handwriting on the census appears to list the surname as Jaynes but it is just the way the cursive was misinterpreted . Most of the Joyner’s from my husbands family are in Concord Church Cemetery. 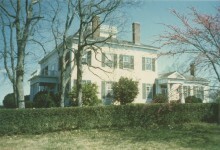 Jesse L. Joyner b. 1863 and wife Mary Varner Joyner oldest Joyner in this cemetery. They married into Gilmore, Kendrick and McCrory families. 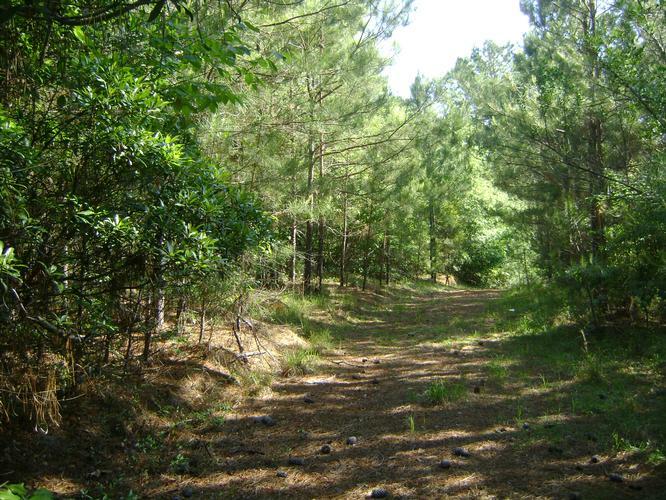 This is located on Conecuh County Hwy 29 about 10 miles from Owassa, Al. It is close to Butler County line and near the Community of Mixonville. There was once a church there at one time, but now gone. Kenny knows where this is and think we own part of the land. He remembers his dad talking about the “old Joyner place” but doesn’t know exactly where the Graves are. Thought you would probably know about it. Love reading about these old things. It is interesting to read. We know of several old home places here who have family buried on the property, or have a small cemetery with family and in laws buried in it. The original Browns who settled here are right down the road from our house. It’s kind of neat. Judith Brown Christin took me to see the Brown cemetery the first time we went to your house. She knows I like an old cemetery even if I not related to anyone there! Lol. 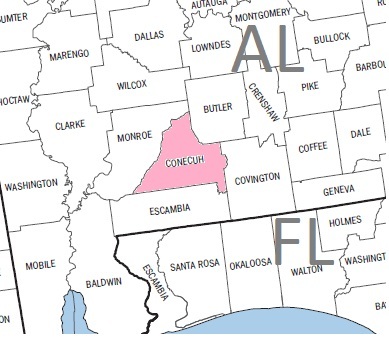 South Alabama covers a lot ,,,nearby town? Joyners in my family,community,Butler Co ! 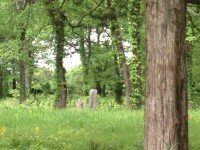 Can anyone tell me where Garner Cemetery in Butler County, Alabama is located and who is buried in the Cemetery. It is said that my Civil War Ancestor Caleb Garner 1838-1865? is buried there. Your help would be appreciated so that I can finish this research. All I need is proof that, that is where is actually buried. A picture of a tombstone would be nice if possible.